Moving on – let’s see some of your fabulousness! Look at this fun hat from Little Country Bumpkins – Love the Red/Aqua! I Heart Naptime convinced me I need a doll bed for a photo prop – so cute! Super cute Peep Tree found over at Nat Mac’s Knick Knacks – fun! 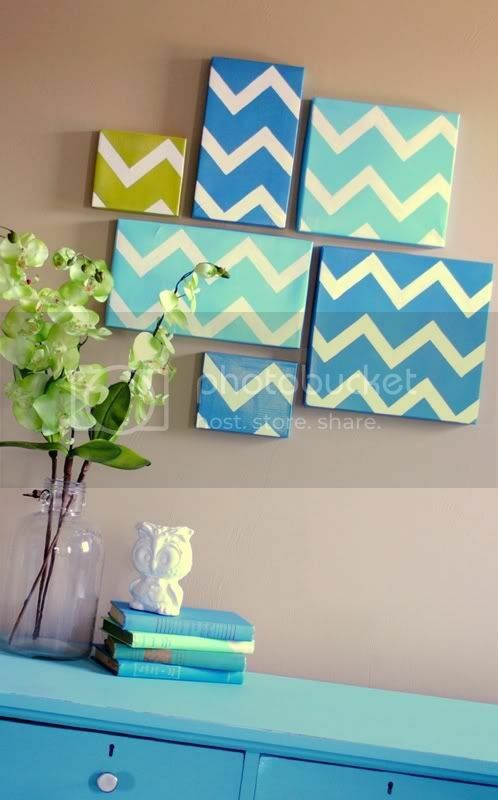 I’ve been in love with these chevron box lids wall art from Spunky Junky ever since I saw them on OMTWI – great job! I’d love to be put into your drawing for a free sponsor spot. I would love to be included in your free sponsor spot also. thanks!!! I love anything involving peeps. Mmmm. I think I need to get on the cake ball bandwagon. 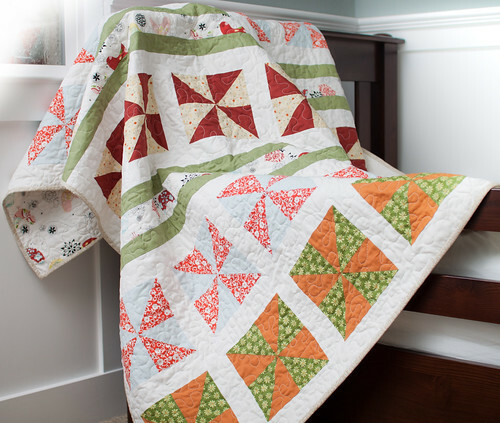 And I love that JAQS quilt – gorgeous picture. 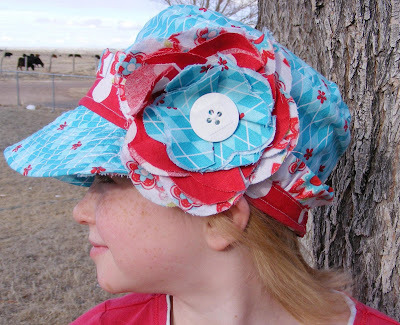 Thank you so much for featuring my little flower hat! Yay! 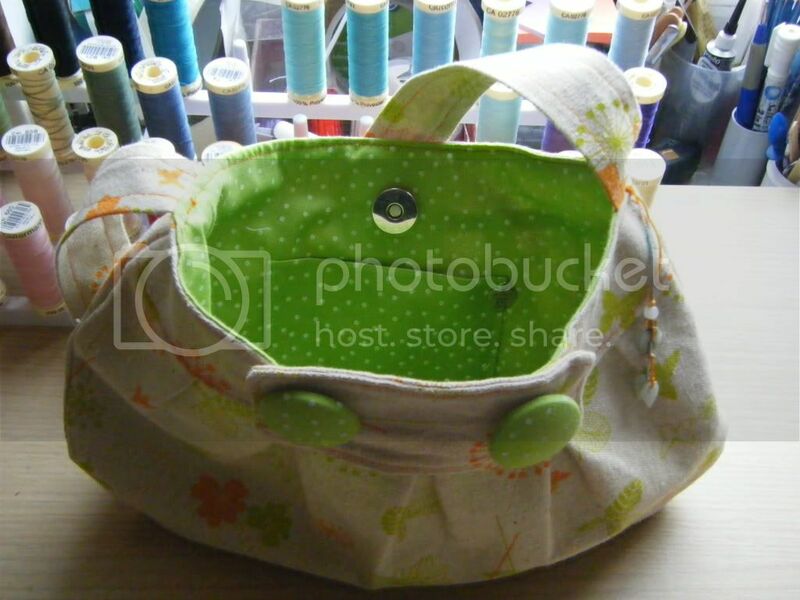 I’m also super excited about the sponsor spot giveaway! I would love a free sponsor spot!! All fun projects! I Love that aqua and red cap! 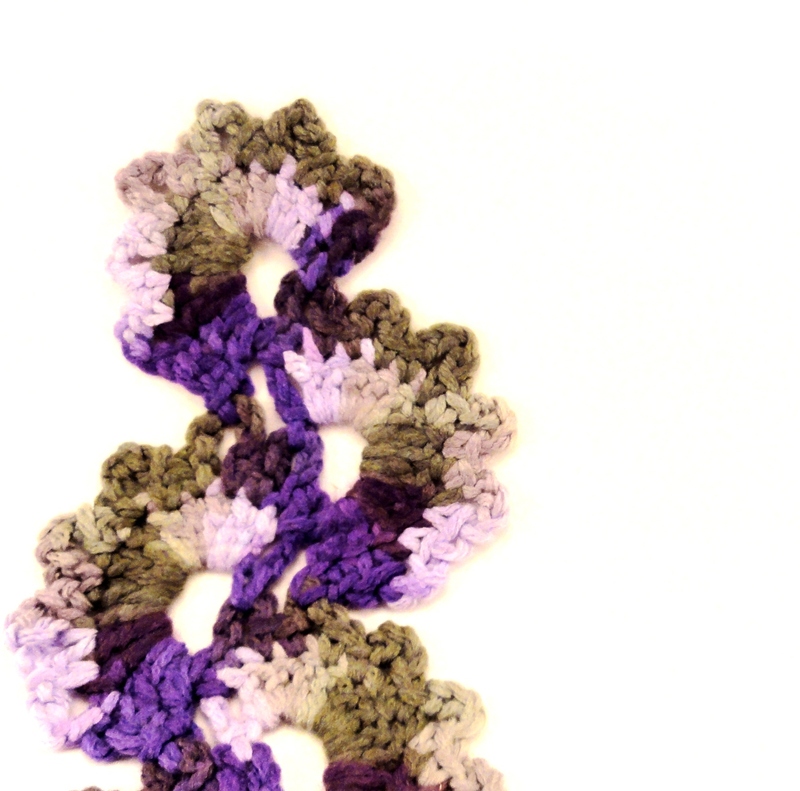 Mandy, thank you so much for featuring my scarf! I will have a post up thanking you later this week!!! Would love to win a sponsor spot! Thanks so much! I’d love to be included in the giveaway. I’d love to be a sponsor! Thanks so much for the opportunity!! Hopefully this isn’t an April Fools joke. I already was sucker for one on the radio today.LOL I’d LOVE to be a sponsor of your darling blog! !